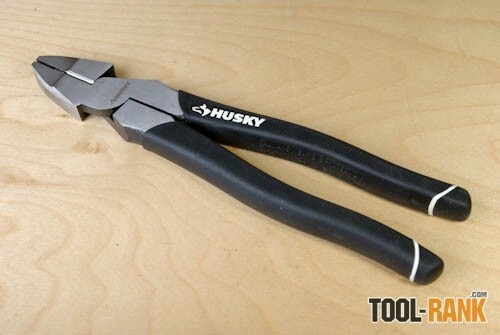 Many of the new Husky hand tools look very similar to the hand tools we have seen growing up as kids, but Husky also has some new changes that you might not notice at first, and they have also made changes that are very noticeable. 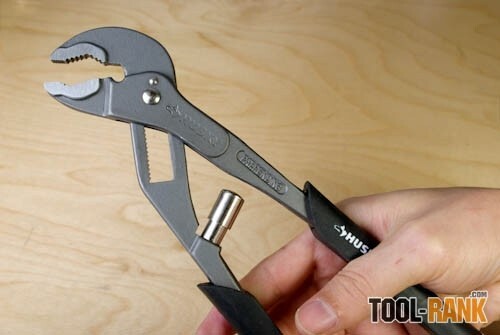 One change that might not be noticeable was done on their new adjustable wrench. Husky has made a small change to the angle of the worm gear used to adjust the opening size, in an effort to make adjusting a bit faster. 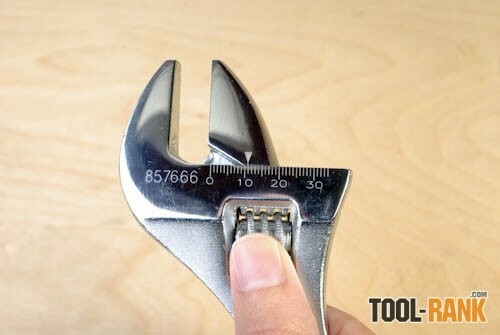 The new feature promises double the adjustments speed and gives the tool the name, Double Speed Adjustable Wrench. Changing the angle of the worm gear does open up the possibility of slippage under heavy load, but I did not notice this to be a problem. 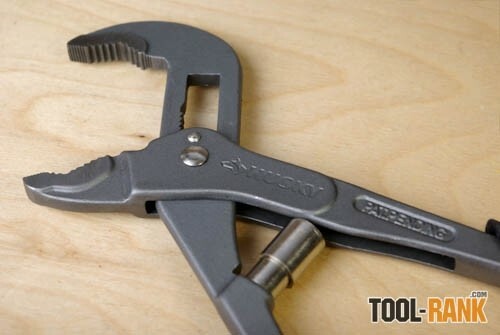 You are not typically using an adjustable wrench for precise applications, so the added speed seems worth the chance of a little slipping. 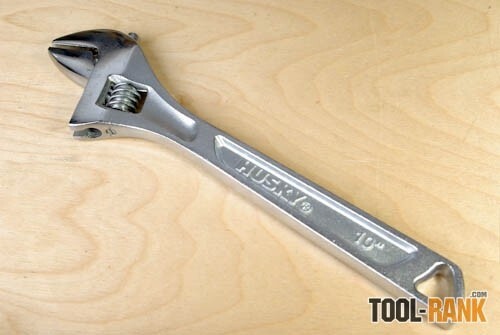 The Double Speed Adjustable Wrench also comes with the addition of laser etched size markings, metric on one side and standard on the other. 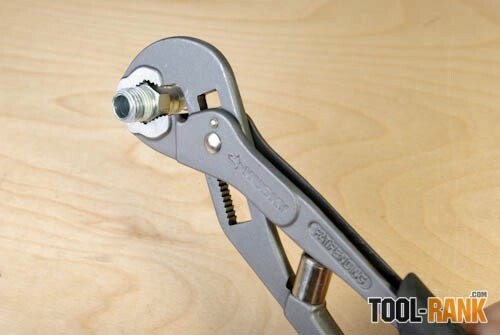 You might not find yourself using this feature very much, but I could see it being useful if you are adjusting a bolt that you cannot see but you know the size. In any case, it is a nice addition. 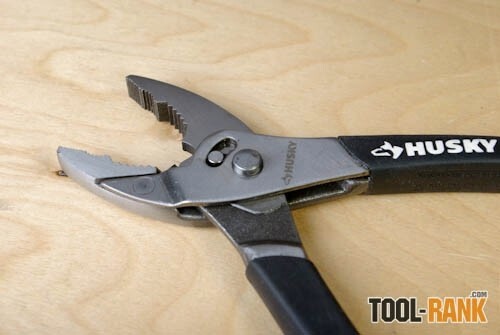 A tool with a very noticeable change is the new Self Adjusting Groove Joint Pliers that Husky has come out with. 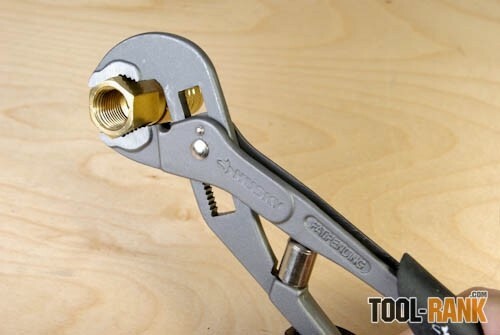 When you clamp down on a pipe or fitting, the tool automatically closes down and adjusts to the correct size. The auto adjust feature actually works really well; it adjusts to the correct size and still positions the handles in a way that is comfortable for the user. 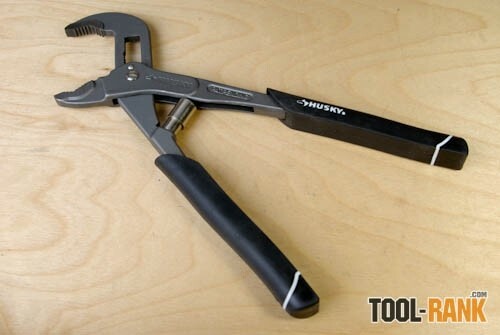 The downside to the tool is that it is not as easy to open and close it (while keeping it the same size) without it slipping to a smaller size. 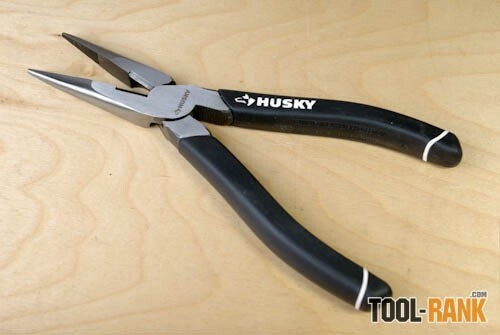 So for repetitive work, a regular Husky Groove Plier would probably work better, because it is locked into its position. 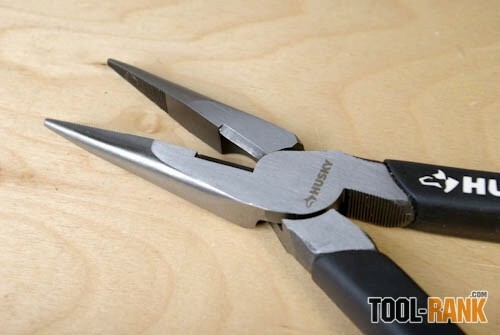 Another tool that saw some slight advancements is the slip joint pliers, or in their case, Self Adjusting Slip Joint Pliers. 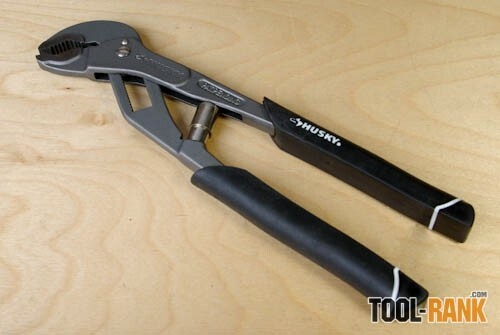 Now, I don't know how this new mechanism works because it is hidden inside the tool, but it works as advertised. There is no more choosing the wrong setting first, then having to re-adjust it. 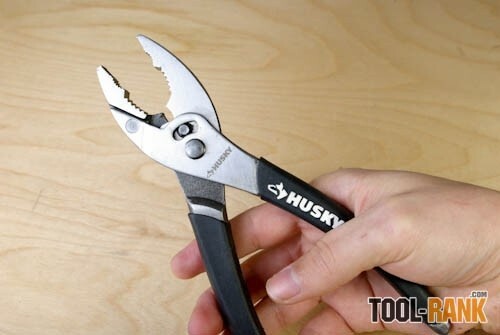 With the new Husky Self Adjusting Slip Joint Pliers, you just grip them and they do the adjusting for you. 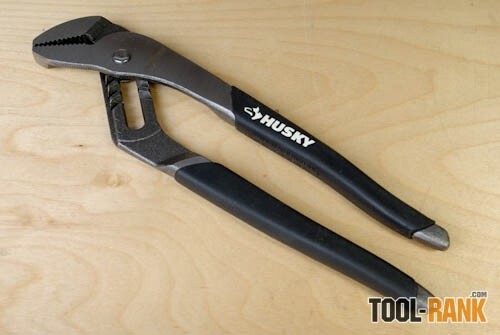 Like I said above, Husky came out with a few hand tools that feature gadgets and gizmos to make them better, but they also have their own versions of regular old tried and true hand tools. 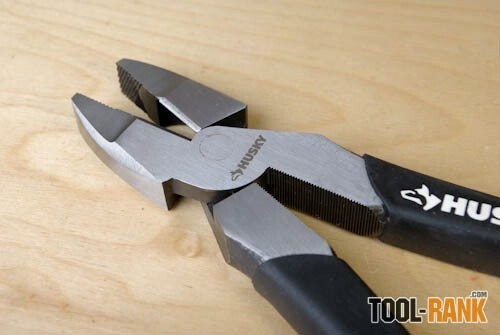 These tools include Needle Nose Pliers, Linesman Pliers, Diagonal Pliers, and more. All of the tools I used functioned well and cut similarly to other hand tools I have. 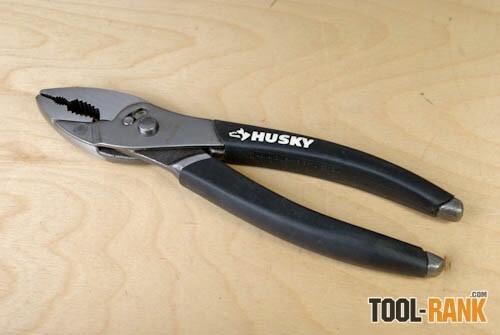 The only complaint I have is with the Diagonal Plier, who's cutting edge does not reach all the way down to the pivot on the tool. There is a small gap between the pivot and the cutting edge which makes it difficult to cut something at the point of the tool with the greatest amount of leverage. I can't think of a reason for this gap to be there, which in my eyes makes it a design flaw. 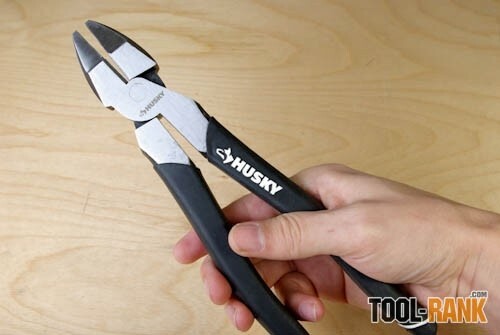 Update: Husky got back to me and said that the gap at the bottom of the Diagonal Pliers is there for stripping wires. 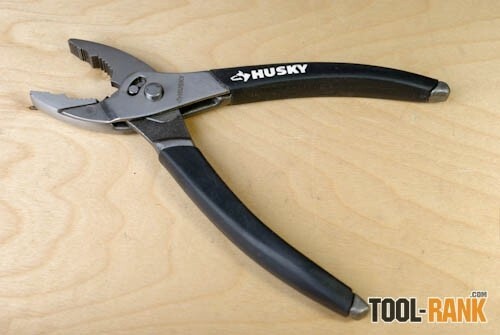 I am a bit torn on the grips used on the new Husky hand tools. 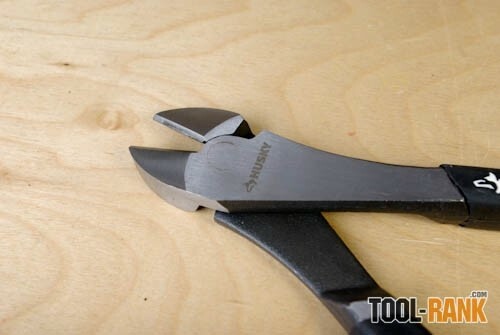 They have a nice rubber grip texture, but the finish on them does not appear to be consistent from tool to tool. 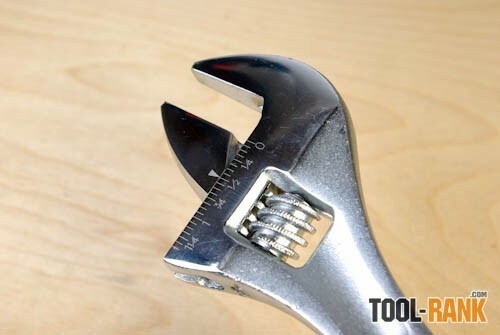 Some tools have a rougher or smoother texture than others and some tools even have nibs on them that are a result of manufacturing, and can be uncomfortable. They can be easily removed with a little sanding, but it is worth mentioning. 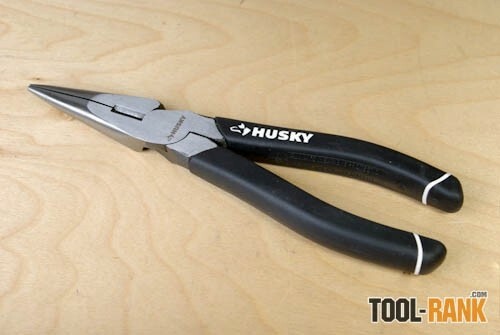 The pivot points on all of the hand tool were very smooth right from the start, and Husky was able to accomplish this without the addition of excess play being found in the pivot. 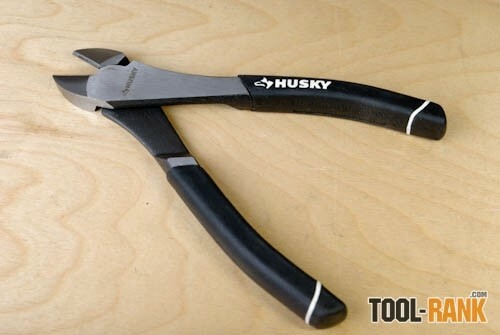 I have purchased other name brand hand tools and have not been happy with the smoothness of the pivot point, so I was happy to see these Husky tools were all working nicely right out of the packaging. I should not have to work to make new tools operate smoothly. 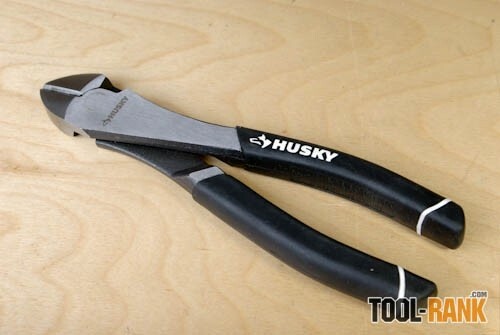 Overall I was impressed with the new Husky Hand Tools. 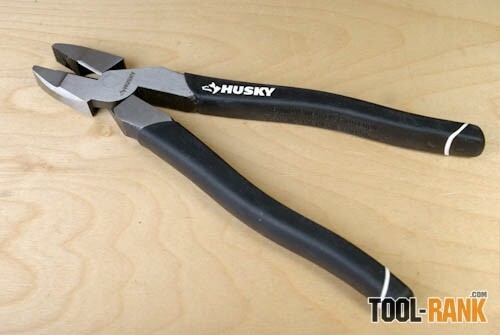 In all honesty, it is hard to comment on how well these will last over the years compared to other seasoned hand tool brands, but if the warranty is as good as they claim, it might not matter. 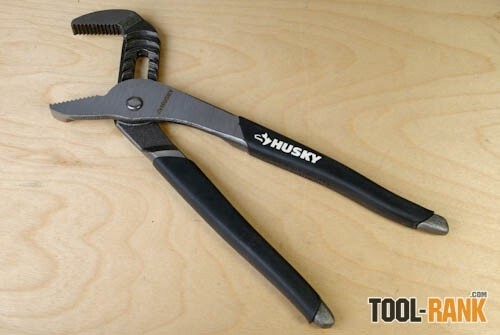 Disclaimer:To promote their Husky products The Home Depot provided us with product samples for review consideration. They did not tell us what to say about the products. The Home Depot believes that consumers and bloggers are free to form their own opinions and share them in their own words. The Home Depot’s policies align with WOMMA Ethics Code, FTC guidelines and social media engagement recommendations.